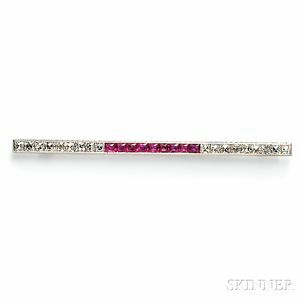 Art Deco Platinum, Ruby, and Diamond Bar Pin, set with nine fancy square-cut rubies and eighteen fancy square-cut diamonds, approx. total diamond wt. 1.60 cts., engraved gallery, lg. 2 3/4 in. 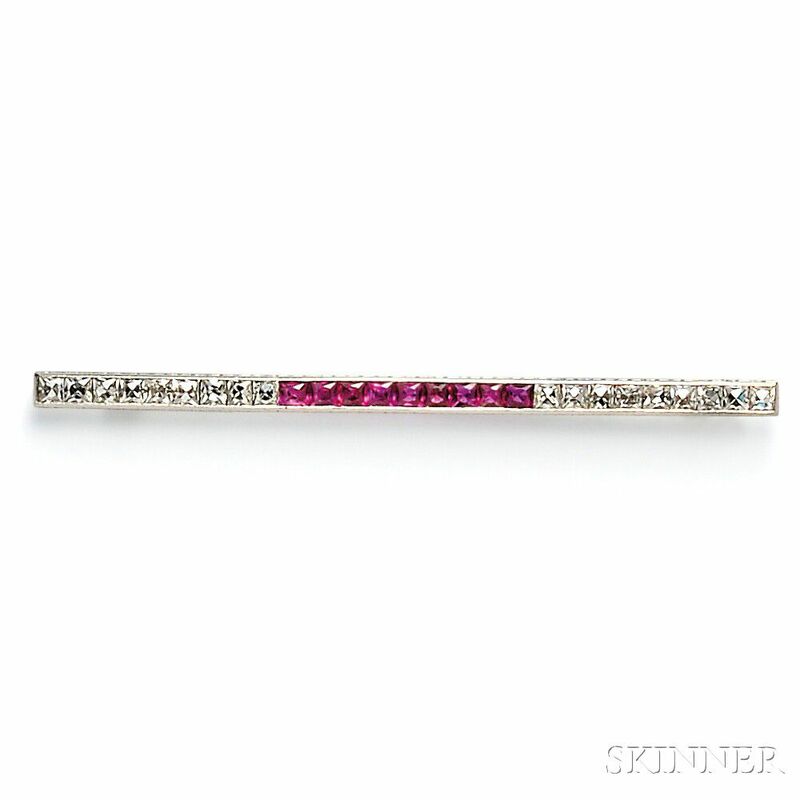 Slightly bent, not obtrusive, rubies with slight abrasions.